Model QES1510-045 10.4 In LCD replaces Motorola DS3200-357A, 12 In Monochrome CRT Monitors used in Allen Bradley 8400 Control System. The Motorola / Display Technology DS3200-357A and DS3200-358A and Conrac 38-V42ILA-B2 monochrome 12 inch CRT Monitors used in Allen Bradley 8400 CNC Controls are obsolete and have become very difficult to replace or to repair. Now there is a solution. 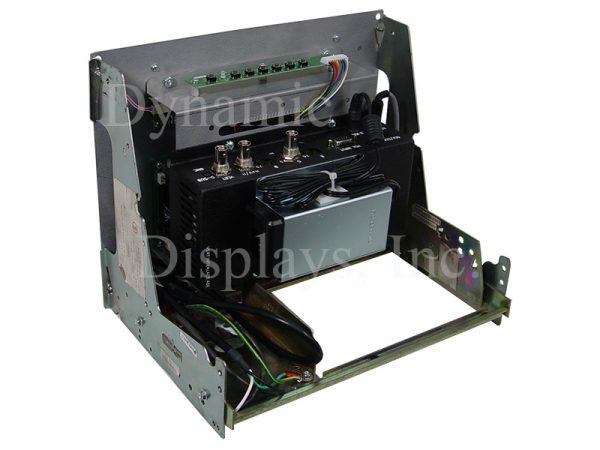 Dynamic Displays model QES1510-045 LCD display is a drop in LCD replacement for the Motorola / Display Tech DS3200-357A and DS3200-358A and Conrac 38-V42ILA-B2 12” Industrial Monochrome Monitors. 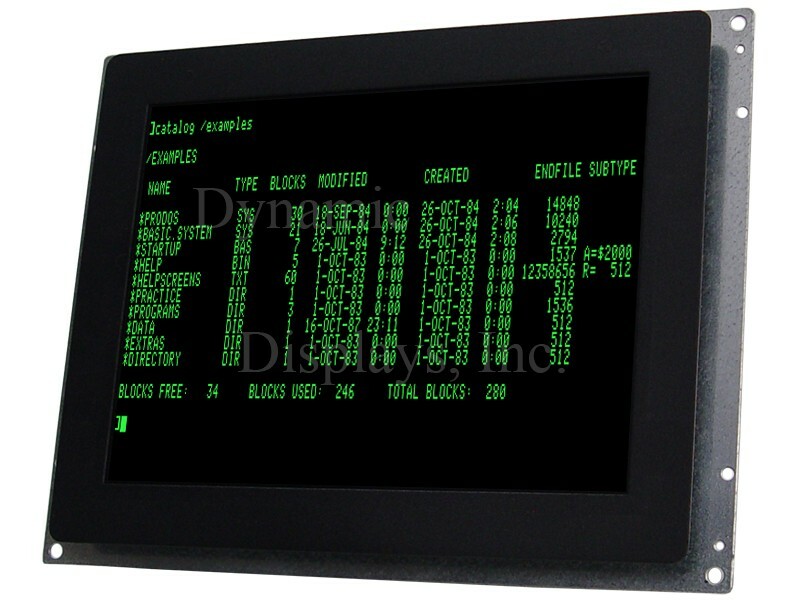 Now you can upgrade your Allen Bradley 8400 CNC Control panel display with a new LCD monitor, model QES1510-045. 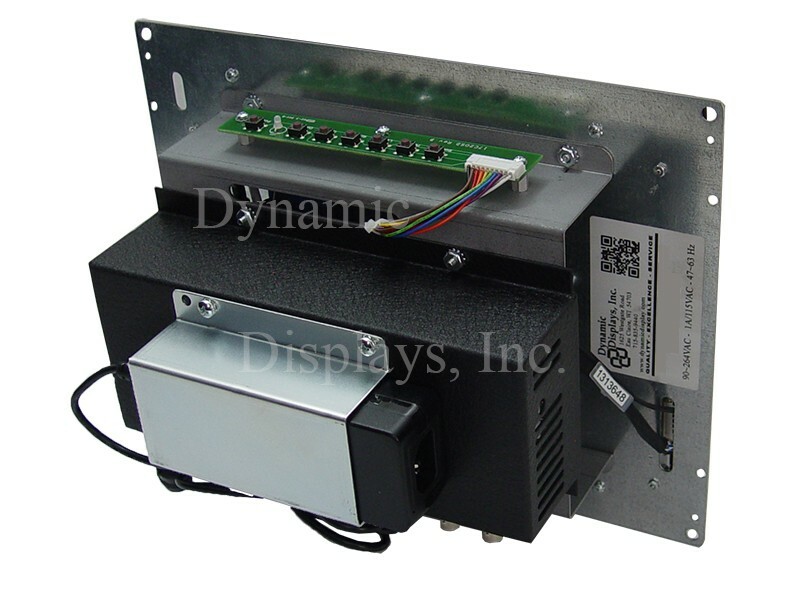 This 10.4" LCD unit is designed to be a plug and play replacement LCD for your obsolete CRT display and is compatible with the legacy signal timing and Interface Connectors present in Allen Bradley 8400 CNC Controls. 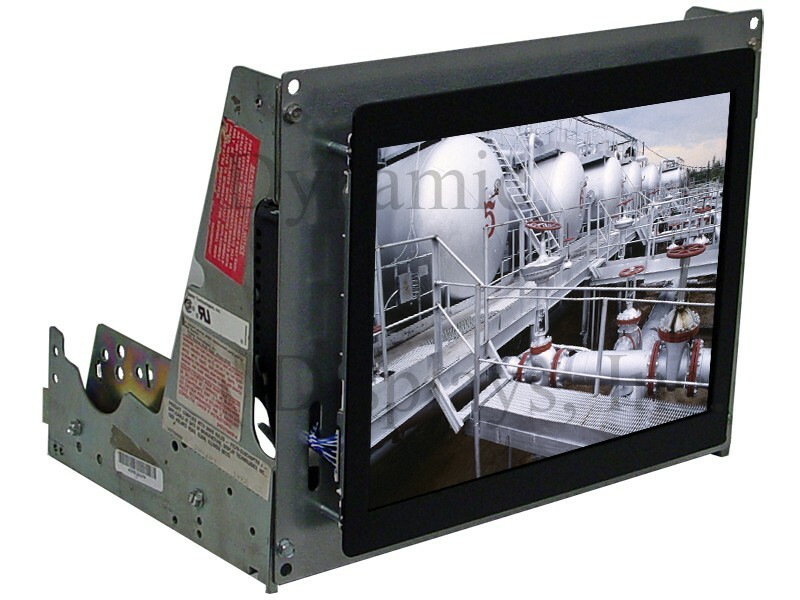 This QES1510-045 LCD replacement monitor features a rugged steel chassis that drops into the 12 inch CRT monitor chassis of the original Allen Bradley 8400 CNC Control Console. In addition, this new 10.4” LCD monitor has BNC video inputs and mating power input connections, circuitry and firmware engineered specifically for plug and play installation into your Allen Bradley 8400 Control.